More than 35 years ago I “discovered” Acadia National Park after being encouraged by college friends to work for the summer in Bar Harbor, a place most of them had been visiting regularly since childhood. Until then my experience in exploring the outdoors in Maine had been centered on the mid-coast, in places such as Pemaquid Point or Camden Hills and, to a lesser degree during my forestry studies, the deep woods and lakes of eastern Washington County. All are beautiful areas to be sure. But from my first bike ride on the carriage roads–back then rutted, washed out, and rough–at a time when doing the “Around Mountain Loop” was a true adventure, and from my exhilarating first hike up the North Ridge of Champlain Mountain, I was hooked. Mount Desert Island captured my heart. I returned to school in the fall, completed some degree work, and in spring headed to MDI to look for a job. Some people find places to live based on careers. Others move for romance or love. Inspired by an incredible spirit and sense of community I had never experienced anyplace else, I moved to the island with no grander plan than to make it my home for the rest of my life. Fortunately, in retrospect, considering the youthful naiveté of that approach, and in no small measure thanks to extraordinary good fortune, it turned out to be exactly the right decision. An early job gardening on the Colket Estate allowed me to establish a beachhead. Hikes up Kebo or Dorr Mountain, or trips to Compass Harbor, could be taken virtually right from my back door. Later, running a printing press at the old Bar Harbor Times morphed into a rewarding career in journalism writing and editing for that paper, for The Ellsworth American, and, in later years, the chance to start and grow the Mount Desert Islander. Falling in love, getting married, building my own home, and savoring the embrace of family have been the proverbial icing on the cake. As rewarding as this unscripted path has been, beneath it all, deep in my heart, that early love of Acadia continued to burn bright. Perhaps the best acknowledgement of it was coaxed from me by my predecessor, Friends of Acadia Communications Director Aimee Beal Church, when we sat down for an interview she did for a story in the Journal last spring. We had worked closely together for nearly a decade, but I realized in the short space of that interview that we were kindred spirits in our affection for this park and this island community and our desire that it be protected and preserved so that successive generations of visitors might also taste of its extraordinary natural and spiritual rewards. To be sure, being involved in small-town journalism, the ability to elevate matters of community concern and occasionally swing the spotlight of public attention to various issues, is a rare opportunity and a sacred responsibility — one that I did not relinquish lightly and that I will miss greatly. But the chance to shift all my energies to a more precise focus, to work closely with David MacDonald and the dedicated and talented Friends of Acadia staff, under the guidance of the board, to help protect and preserve the park as well as the character of MDI communities, was just too good to pass up. As a Registered Maine Guide and guide book author I’ve often been asked over the years “What’s your favorite hike?” The answer today is the same as it was the first time I was asked some 30 years ago – “The one I just did.” Acadia just encompasses such an incredible diversity of beauty, it is impossible to rank any one of its charms ahead of the others. It’s why I came here. It’s why I stay here. It’s why I will never leave. Becoming a part of the Friends of Acadia team, for me, is not so much a career move as it is a return to my roots, a re-prioritization in the end of what really matters most. I can’t wait to get started. Well said Earl! The feeling is mutual for many of us. All the best as you move forward. Proud to have you as a friend! It is always a pleasure reading something you have composed, always pulling the reader in immediately. Congratulations on all of your life’s endeavors and the opportunity to add to that, another chapter !! Hats off !! Beautifully put, and I share your enthusiasm. Aren’t we lucky – and I think wise – to live here! Enjoy the new gig. Looking forward to reading more from you. 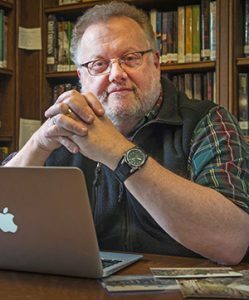 I’ve followed your work for many years at the “Bar Harbor Times” and “Mount Desert Islander” Earl and wish you All the Best in your new position with “Friends of Acadia.” I seem to recall your having a book coming out and I’m hoping to get an autographed copy!